Captain Mark Franklin is a very adept hunting and fishing guide. 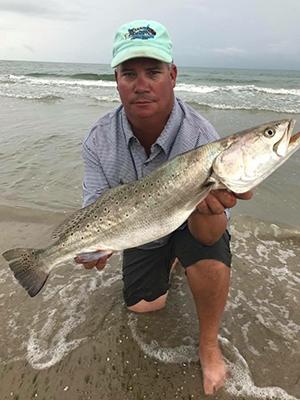 Born and raised in South Texas, Mark has spent his entire life learning the waters of Baffin Bay Texas and hunting the area wildlife. With over 20 years of experience working on local ranches, Marks hunting and fishing knowledge is hard to beat. As a young boy, Mark would help his uncle, a commercial fisherman, with the daily catch. With rod and reel in hand, Mark spent his down time learning what it took to catch the fish of Baffin- Trout, Drum, Redfish. 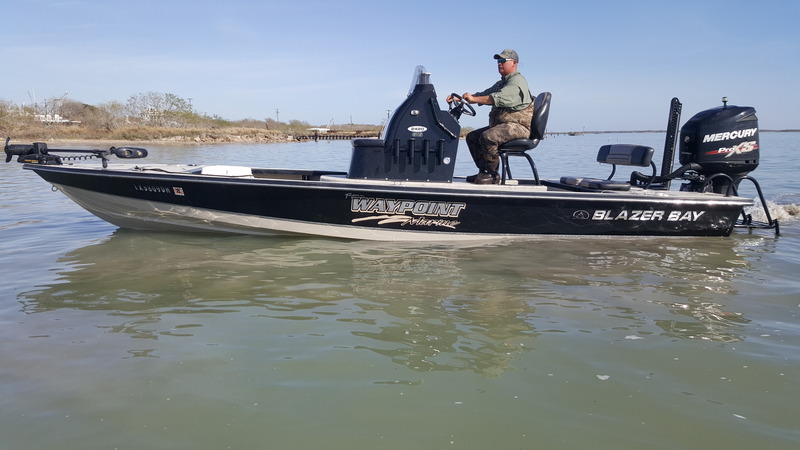 Many years and multiple bay boats later, Mark has earned the reputation of an avid fisherman with uncanny knowledge of Baffin Bay and its waterways. His 2016 24 ft. Blazer Bay boat can brave a typical Texas windy day with ease. During those first years of fishing, Mark was introduced by accident to Alligator Gar. Thus started his interest and education into bow fishing. One mud boat and 3 airboats later, Mark has become a skilled marksman with a bow. Mark now owns a seventeen-foot Alumitech airboat with a BBC motor. A thrilling ride in his skillful hands. While fishing and hunting are second nature to this experienced outdoorsman, duck hunting just wasn’t one of his passions. That is until 2011. Mark was invited to go duck hunting by an experienced duck hunter. While not exactly enthusiastic, Mark accepted. This very successful duck hunting trip, lit the fuse that began Mark’s education and passion. Already an excellent shot, he learned to distinguish between the different ducks and keeps up to date on hunting laws. In 2015, Mark decided to obtain his Captain License and make a career of the hunting and fishing he enjoys so much. Whether it be work or play, His motto, Wearin’ em Out, is the perfect way to describe his “all in” attitude. There is no doubt, one trip with Capt. Mark leaves a lasting impression with a want for more.